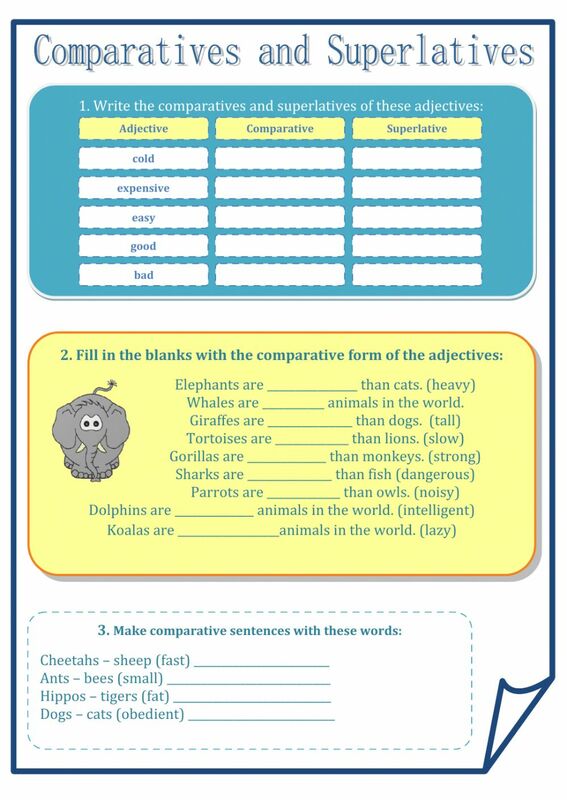 A worksheet to practice the comparative and superlative form of adjectives. Hi, I can't log in with my account. Last time, everything still worked well, but today it doesn't work. There is always "not secure" at the beginning of the link address.Could you check, please? The adjective is missing in the second sentence in exercice 2. "The most intelligent" isn't correct in exercise 2? Thanks - the adjective for whales is missing and the answer for dolphins is incorrect. It should be the most intelligent.